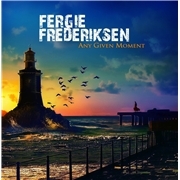 Vocal legend Dennis “Fergie “ Frederiksen survived a supposedly inoperable cancer in 2010, and celebrated life with the very positive album “Happiness Is the Road”. This time around Fergie si still positive, and augmented by Bruce Gaitsch (RICHARD MARX) and Robert Sall of WORK OF ART and W.E.T. He is also doing a duet with ISSA in “Not Alone” and a re-recording of the TOTO song “Angels Don´t Cry” off “Isolation”. I may not be convinced about how this album is divided in percent betwixt routine, emotion and the joy of playing, but otherwise this is a continuation of the fine trend Fergie started with his previous outing. There are so many classy arrangements on here, and a swell production courtesy of Alessandro del Vecchio. I don´t get to grips with the duet with ISSA though, and I find it to be the low point on the album. The highlight for me is “Price for Loving You”, it has a solid refrain, the right mix of keys and guitars in the refrain and the right amount of sentimentality about it. The rest is without exception slightly or a lot above average, not least the cancer battle story telling of the title track. I only hope the reports of a setback amounts to nothing threatening as Fergie is on the road to more melodic rock greatness.